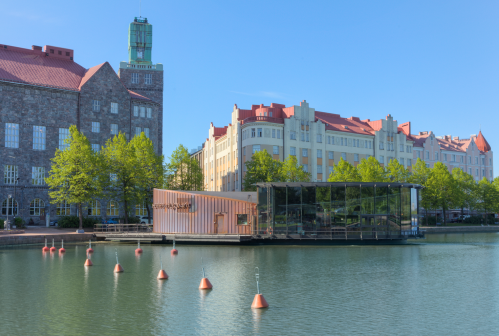 The 45th LIBER Annual Conference will take place in Helsinki, Finland from Wednesday, 29 June to Friday, 1 July 2016, with a post-conference excursion on Saturday, 2 July. 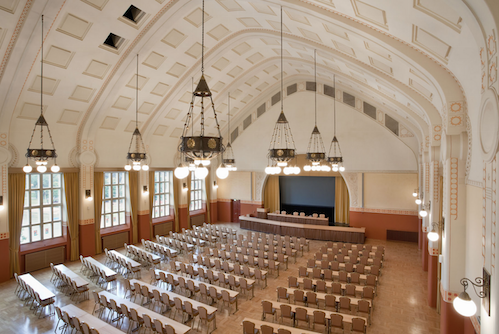 We invite research library professionals to join us in our beautiful venue, Helsinki Congress Paasitorni, for a programme full of inspiring insights into current subjects. The social programme will provide an opportunity to relax and network with colleagues. The timing of LIBER 2016, directly after the Finnish midsummer festivities, is the perfect opportunity to catch a glimpse of the famous midnight sun. Finnish libraries are involved in the ATT Initiative in many ways. They have valuable know-how and they provide vital services in such fields as Open Access, metadata, persistent identifiers, etc. They also have strong networks that help to bring together people from different organisations and fields of expertise. A training coordinator, located at the National Library, is building a national Open Science training programme. In addition to training and learning materials for researchers, there will be seminars, meetings and workshops for open science ambassadors who will act as trainers in their own organisations. The Federation of Finnish Learned Societies and the National Library have launched a co-operative project with Finnish scientific journals. It aims to build funding and subsidy models that enable switching to Gold Open Access publishing, and improve the technical infrastructure of online publishing. The National Library will create tools for research data metadata management, improve its existing institutional repository platform services and explore models to ensure the preservation of open access materials, etc. Universities and university libraries are participating in the ATT Initiative as well. Projects around the country include those focusing on Open Linked Data creation; marketing of Open Access and improving Green Open Access processes; evaluation of traditional and novel impact indicators; and increasing openness in projects related to innovation and applied research. The Finnish Research Library Association (STKS) promotes the role of libraries in research and education. The Association was established in 1929 and has several active working groups and around 700 members. The Association’s main goals and activities are political lobbying, arranging seminars and publishing. Its journal, Signum, has special English-language issues.